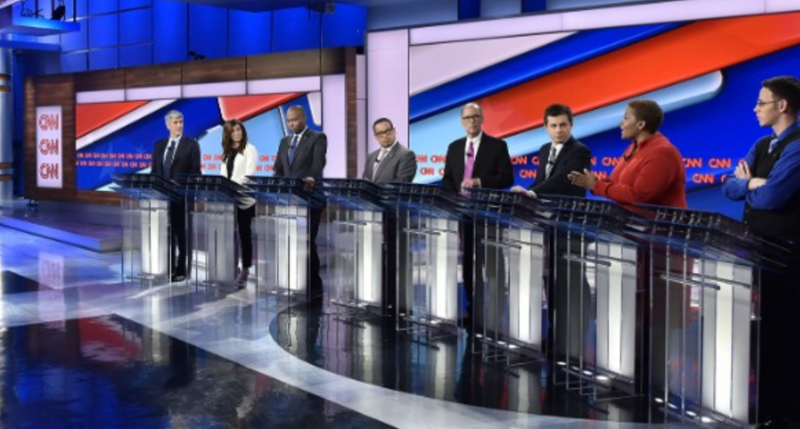 The magnitude of the DNC Officer Elections this weekend was evident last night with the network broadcast of a debate among candidates to lead the Democratic Party. CNN's Chris Cuomo and Dana Bash moderated the event with eight of the candidates running for the Party's top slot, kicking off the DNC Winter Meeting in Atlanta and setting the stage for the elections Saturday. ASDC Chair Ray Buckley relinquished his bid prior to the debate and endorsed Ellison, and this morning South Carolina Party Chair Jaime Harrison dropped from the race, endorsing Perez. Public perception is that Congressman Keith Ellison and former Labor Secretary Tom Perez are in a fight to the finish, while passionate pockets of support still exist for five other candidates, including South Bend Mayor Pete Buttigieg, Idaho Party Chair Sally Boynton Brown, Political Strategist Jehmu Greene, Sam Ronan of Ohio, and Peter Peckarsky of Wisconsin. 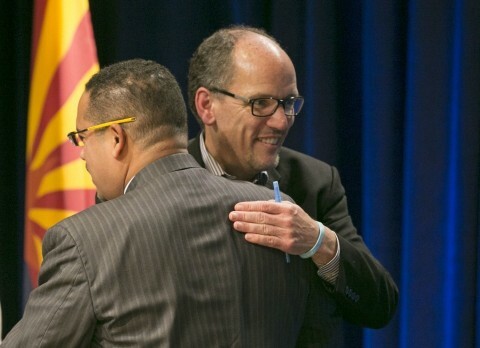 Tom Perez: "Stop giving Millennials a show seat, but give them an actionable seat." Keith Ellison: "By winning up and down the ballot, we will be ready for the presidency in 2020." Pete Buttigieg: "You get what you've always got if you do what you've always done. I've done everything like it's never been done before"
Jehmu Greene: "Millennials are not the future of the party, they are the now of the DNC." Sally Boynton Brown: "Democrats fight everyday to protect everyone - to make sure we're equal - and we have to make sure to hold leaders to that." Jaime Harrison: "You can't win if you don't have the capacity. We can change that." Peter Peckarsky: "As chair I will be impartial, the people working for the DNC will be impartial, or they will not work for the DNC." Sam Ronan: "We have pushed people out of the party over decisive issues. We need to build a party for something strong to fight for." For the updated DNC Winter Meeting Schedule and the Full List of Officer Candidates go to the DemList Calendar! Tonight, DNC Opening Reception. Tomorrow - the election process and morning scoop! One down, Seventy-Seven to go!